In Ukraine grapes processing volumes was growing up 6.7% to 270.85 thousand tons in 2017, in comparison to 2016 year. It is mentioned by UAC according to the State Statistic Service of Ukraine. It was produced 228.5 thousand tons of grapes and 42 thousand tons were imported for vine productions in Ukraine. 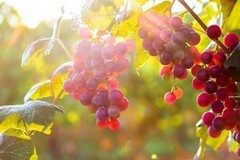 Mykolayiv, Odesa and Kherson regions are staying the main grape processors’ areas. Actually, in 2017 year, the biggest growth of processing was observed in Kherson region where volumes were up by 30.3% to 33.3 thousand tons during one year. Odesa region is one of the biggest processors in Ukraine and here 155.99 thousand tons of grapes have been processed and it is higher 24.3% in comparison to 2016 year. In Mykolayiv region 82 thousand tons of grapes has been processed that is lower by 19.2% in comparison to 2016.